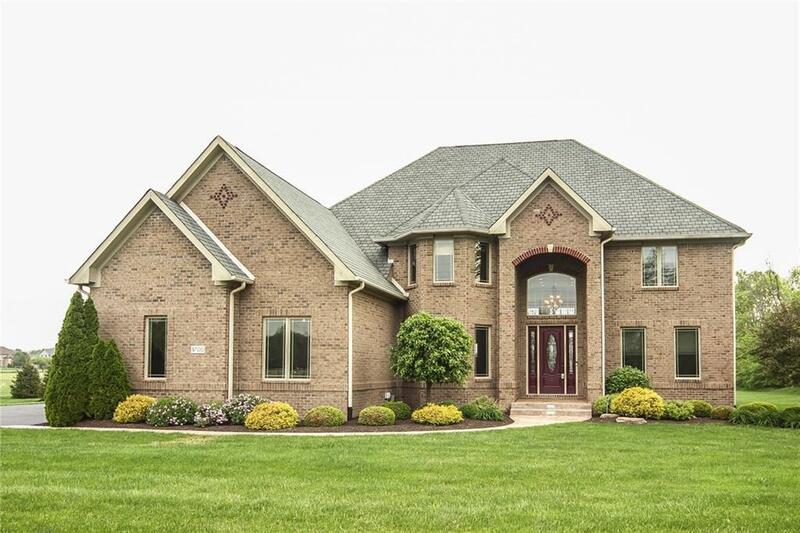 Immaculate better-than-new all brick home on 2.6 acres. Just far enough out of town to offer "country setting- but 7 minute drive to Zionsvilles Main St. w/shopping & dining & park & trails. 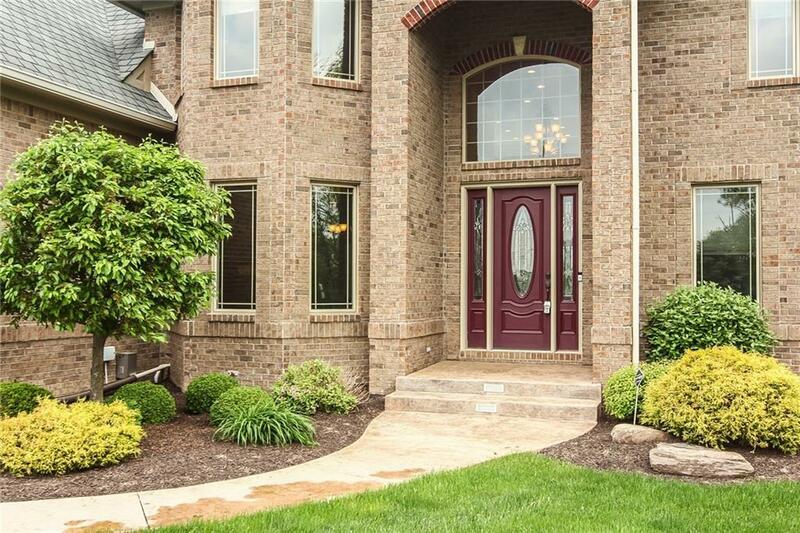 Stunning 18 entry ushers you into spacious rms w/tons of light loving windows. Gourmet kit open to breakfast space then 2 story great rm. w/fireplace. Hrdwds on most of main floor. Formal dining & den/office & media rm w/built-ins keeps TV in its own space, including surround sound flow for great entertaining. Hot tub on huge deck w/dramatic view of back yard just recommissioned. 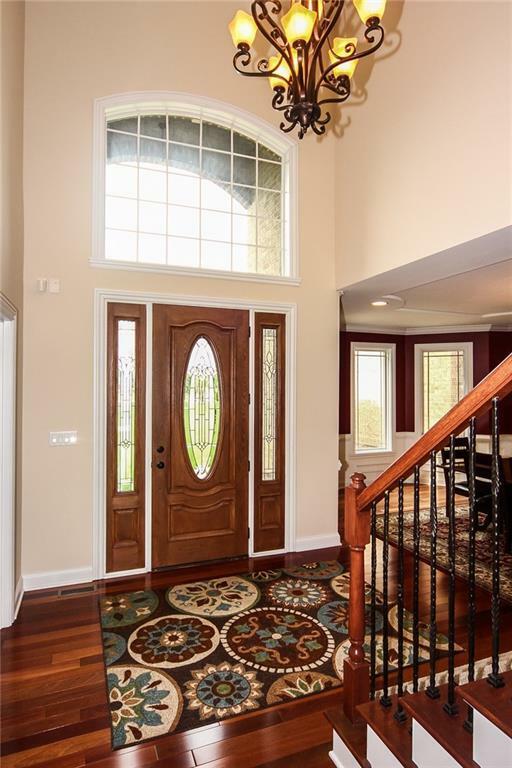 Acreage touches common area at back for even grander views. 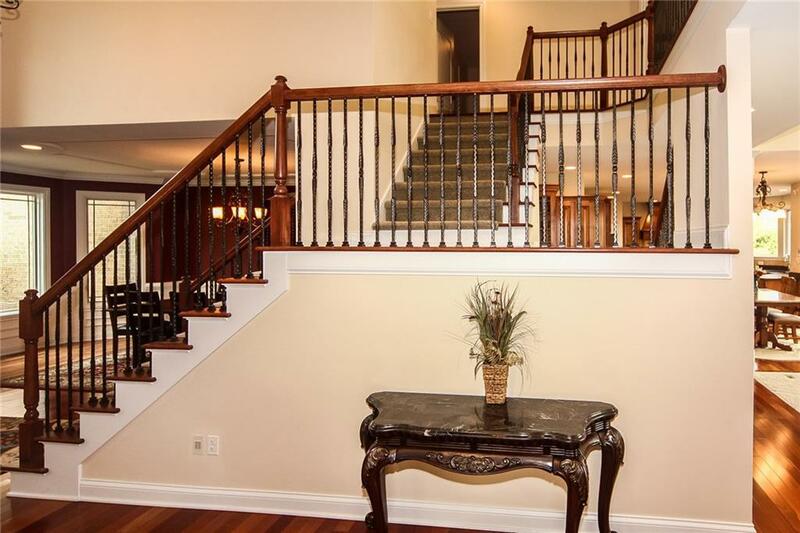 Master has lg seating area, spa bath, & huge 21x10 closet! 3 other beds up w/2 additional full baths.